Scan Tools,Original launch universal diagnostic tools,such as Launch X431 V+, Launch X431 V, Launch X431 Diagun III, Launch X431 GDS, X431 Master, X431 IV and so on. Scan Tools There are 32 products. Launch x431 heavy duty,Including all the advantages of its predecessor, X-431 Heavy Duty is designed to cover heavy duty diesel vehicle models of 12V & 24V voltage. It features ergonomic design, compact structure, convenient use and strong expandability. Launch X431 3G,with the all-new GDS, you have OE-level access to Domestic, European and Asian manufacturers, for read/clear codes, live data graphing and recording, bi-directional testing and module coding. 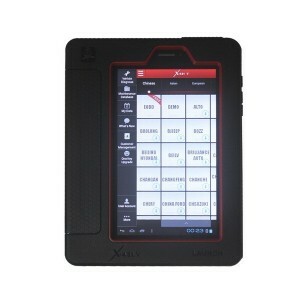 X-431 PAD is the new generation tablet diagnostic scanner of LAUNCH for DBS (Diagnosis Based Solution) car system. Launch X431 GDS,with the all-new GDS, you have OE-level access to Domestic, European and Asian manufacturers, for read/clear codes, live data graphing and recording, bi-directional testing and module coding. Orginal launch diagun iii is a new professional vehicle diagnostic tool designed and developed by LAUNCH for repair technicians. It’s smart, easy to carry, fully functional and convenient to use, and it’s the standard equipment for garage technicians. Launch X431 MASTER is the third Generation of X-431 Super scanner developed by LAUNCH, which improved the features and function based on all feedback from the user served by the X431 in their respectively fields of works. It is the newly auto scanner from LAUNCH, which improved the features and function based on all feedback from the user’s served by the X431 in their respectively fields of works. Launch X431 GDS with the all-new GDS, you have OE-level access to Domestic, European and Asian manufacturers, for read/clear codes, live data graphing and recording, bi-directional testing and module coding. Launch X431 V Full System Automotive Diagnostic Tool is original, can update online directly supports one click online update, support full range car model from USA, European and Asian. Able to working with 12v cars and 24v trucks, original, can update online.